THE COMPLETE ARTICLE IS COPYRIGHT WWW.IRATES.AM AND MR. KHACHATUR DADAYAN. KHACHATUR 10 07 2015 TILL AND INCLUDING KHACHATUR 30 10 2015 TO BE FOUND IN THE MENU ON THE LEFTSIDE. 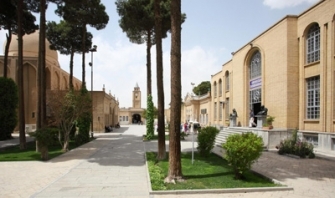 THIS ARTICLE IS PART 2 OF A SERIE "LETTERS FROM NEW JULFA" AND PART 1 CAN BE FOUND VIA THIS LINK. THE SERIE TELLS US ABOUT THE TRAVELLING OF MR. KHACHATUR DADAYAN EARLY SPRING 2017 TO NEW JULFA ISFAHAN IRAN.